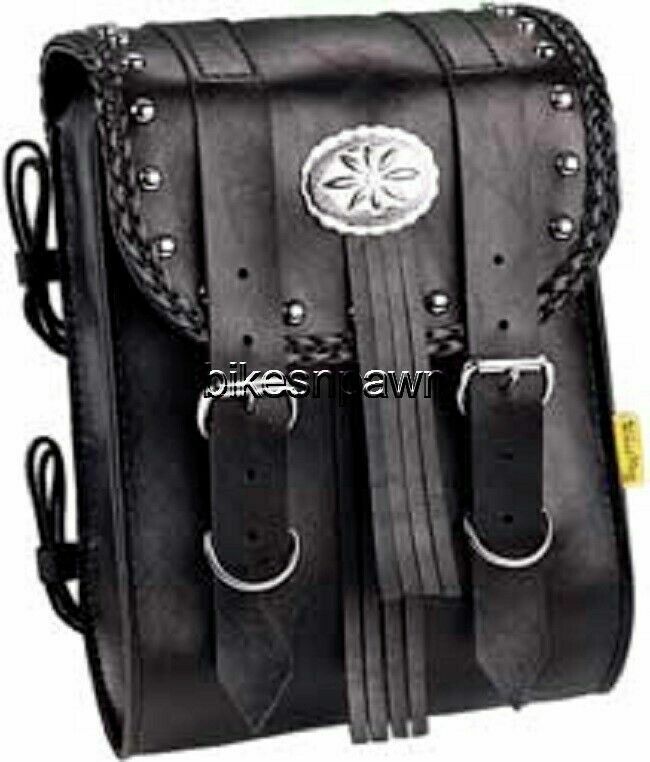 The Warrior Sissy Bar Bag features braided edges, studs, concho and fringe. 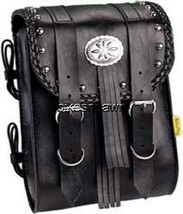 All Willie & max bags are made of quality synthetic leather and will not rot, mildew, dry out or stain. Simply wipe clean with a damp cloth. Measures 8" X 10" X 4 1/2". MFG# SBB431.